Ali Wukovits von Leader spusu Vienna Capitals wurde für ein Kneeing-Vergehen vom DOPS für ein Spiel gesperrt. Für Ali Wukovits von Leader spusu Vienna Capitals hatte das freitägige Gastspiel in Klagenfurt noch ein Nachspiel. Der Stürmer wurde vom DOPS für ein Kneeing-Foul gegen Marcel Witting vom EC-KAC für ein Spiel gesperrt. Wukovits fehlt den Bundeshauptstädtern somit am Sonntag in Szekesfehervar. spusu Vienna Capitals forward Ali Wukovits has been suspended by DOPS for one game, because of Kneeing. Ali Wukovits (#9) of Leader spusu Vienna Capitals, was involved in an incident deemed by the on-ice officials as Kneeing (IIHF Rule 152) against EC-KAC on Friday, October 26th 2018, time 42:23,. The video evidence was sent to the EBEL Player Safety Committee (PSC), which determined the incident to be worthy of supplementary discipline – Category 1 – ‘Careless’. 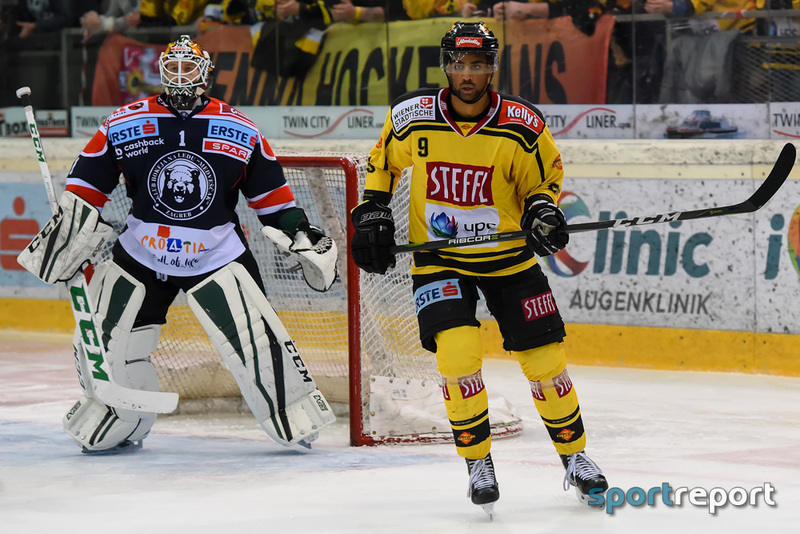 According to the Arbitrator and having considered the video evidence and ruling of the EBEL PSC, player Ali Wukovits (#9) of spusu Vienna Capitals will receive supplementary discipline under rule 152 – Kneeing. On October 26th, in Klagenfurt, an incident occurred involving Vienna player #9 Ali Wukovits which is deemed Kneeing. With the puck being chipped up the wall by a KAC player, a second KAC player is focused on gaining possession of the puck. While working to gain puck possession, the skating lane of the opponent involved a right turning pattern. At approximately the same time as the opponent began his right turn pattern, Ali Wukovits also changed his skating lane to his left, which created a head on approach to make contact. Ali Wukovits, in his left turning pattern, extended his left knee. While his left knee is extended, Ali Wukovits attempted to make a body check. In missing the opponents body, a knee to knee contact occurred. Ali Wukovits, in attempting to make a body check, holds the responsibility to make the body to body contact and avoid the knee to knee contact. It was noted that the opponent did return to play. However, knee to knee contact which involves 2 players traveling in opposite directions, does run a high risk of injury. Injury is not the determining factor. The knee to knee contact was the determining factor. Effective immediately, Ali Wukovits (#9) is suspended for 1 game. From the perspective of DOPS and according to the EBEL Penalty Catalog Ref Nr. 120 – Kneeing, Ali Wukovits (#9) of spusu Vienna Capitals is suspended for 1 game, effective immediately and fined 100 Euro.